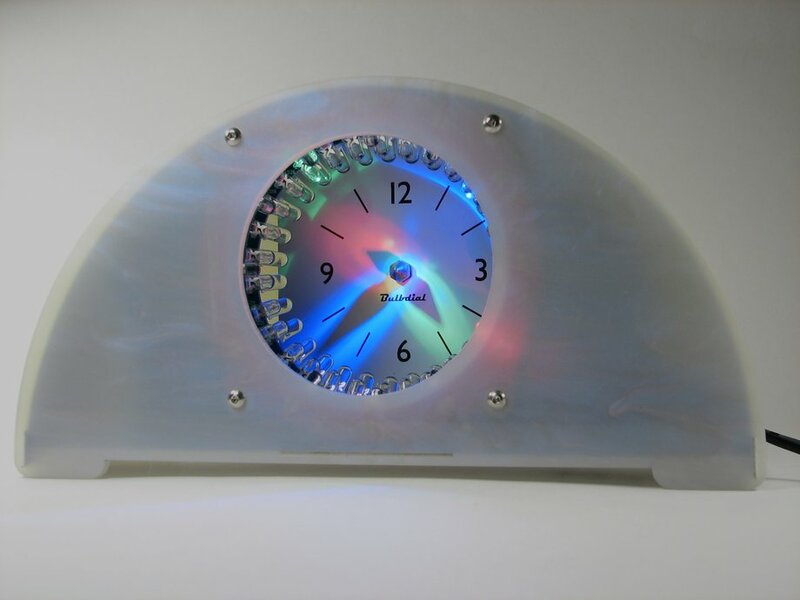 Laser-cut acrylic case for the Bulbdial Clock kit. 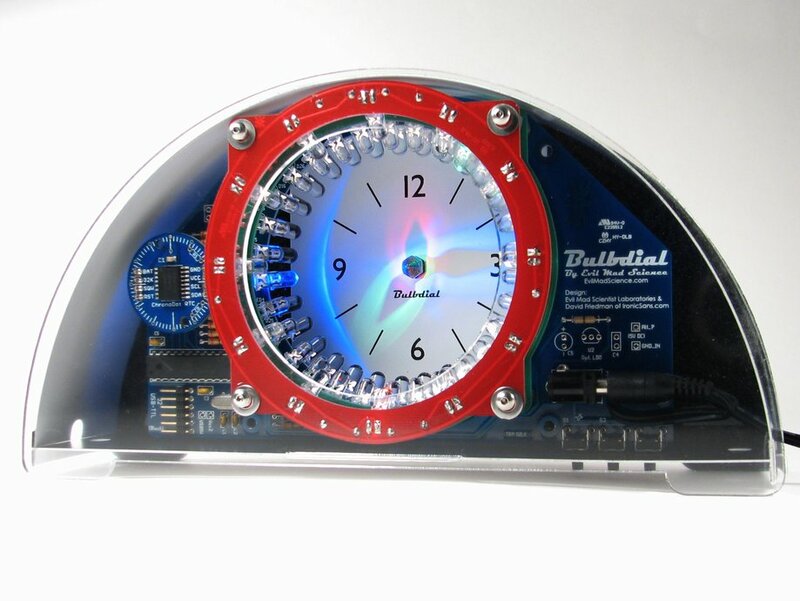 The Bulbdial Clock Kit is designed to be mounted inside a case. You can make, mod, customize, and swap out cases to suit your taste. Different case sets can completely change what the Bulbdial Clock looks and feels like. 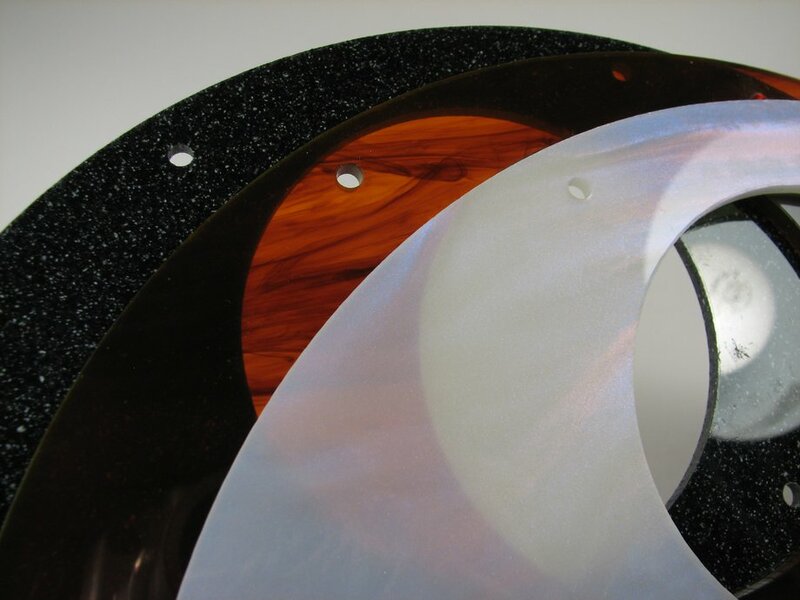 Laser-cut cases for the Bulbdial Clock are available in several different color combinations of laser-cut acrylic: Abalone Pearl, Black back/Smoke front or Black back/Clear front. All cases come with the two faces, a flexible reversible black/white top cover, and the bottom cover with access holes for the Bulbdial clock's buttons. The case is 8.75" wide, 4.6" tall, and just over 2" deep.